Latvia’s Saeima on Thursday passed in the final reading a bill ratifying the Latvia-Estonia intergovernmental agreement on the exchange of residents’ data, informs LETA referring to the parliamentary press office. The agreement stipulates the amount of data the registers of residents of the two countries have to exchange to ensure that their data are complete, accurate and up-to-date. 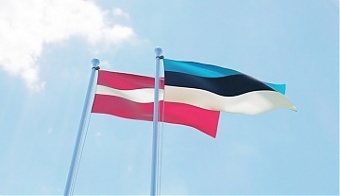 In Latvia, the legal regulation obliges persons to provide information to the Office of Citizenship and Migration Affairs about themselves, their underage children and persons under their guardianship. If a Latvian citizen moves to live in a foreign country, he or she must inform the migration authority about their address in the foreign country. The Latvian and Estonian authorities have already been sharing their registered data but this exchange has been taking place based on separate requests or the authorities’ initiative. The agreement is intended to ensure a timely and enhanced data exchange between the two countries.